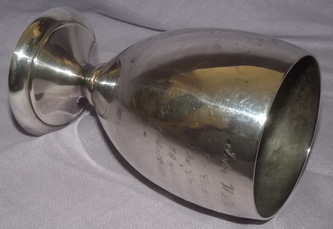 Top Level > Silver (Solid & Plate). 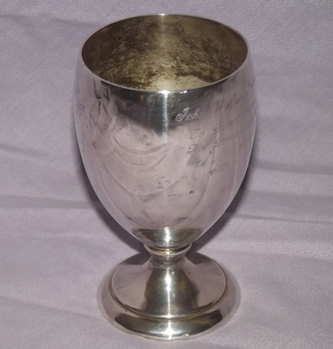 Nicely shaped silver plated Masonic goblet. Stands 4 ¾ inches (12cms) tall. To commemorate the completion of 50 years service in Belvidere Lodge No 503. 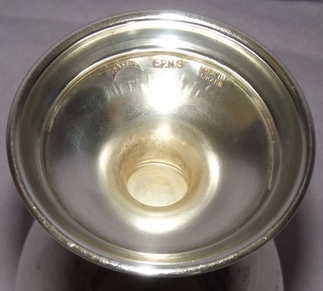 Stamped EPNS and Made in England to base, with a makers mark of a crescent moon. 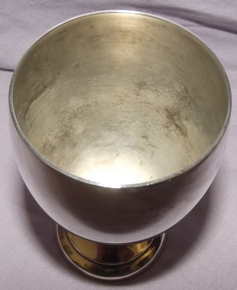 Condition – no dings or dents, displays very well, just a few tarnish marks as expected.